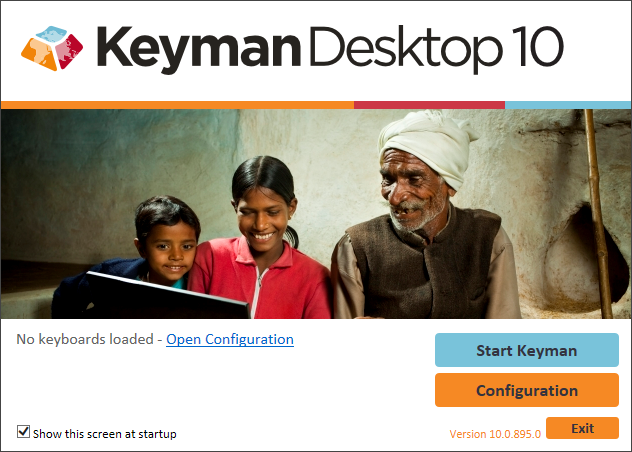 You can download Keyman Desktop with a keyboard for your language from the Keyman Website. Find the Keyman Desktop executable file on your computer. The name of the file begins with 'keymandesktop-10' and ends with '.exe'. You will be asked to allow the installer to access your system. Click Yes to continue. 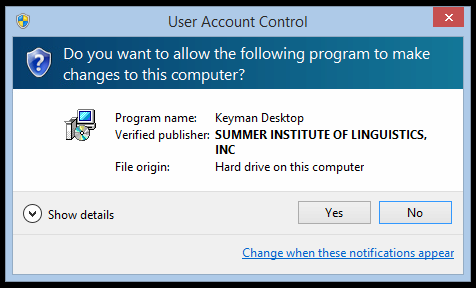 Once you have read and agree to the license terms, click Install Keyman Desktop to continue. You can select advanced installation options from the Install Options link on the bottom left. 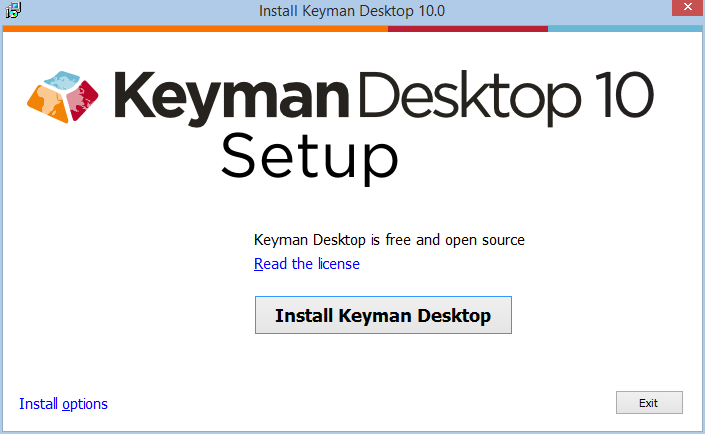 At the end of the installation, click Start Keyman Desktop to begin using Keyman or click Take the tour for the Getting Started tutorial. When you finish your installation of Keyman, you can delete or move the installation's executable file. It doesn't need to remain on your computer for Keyman Desktop to work.